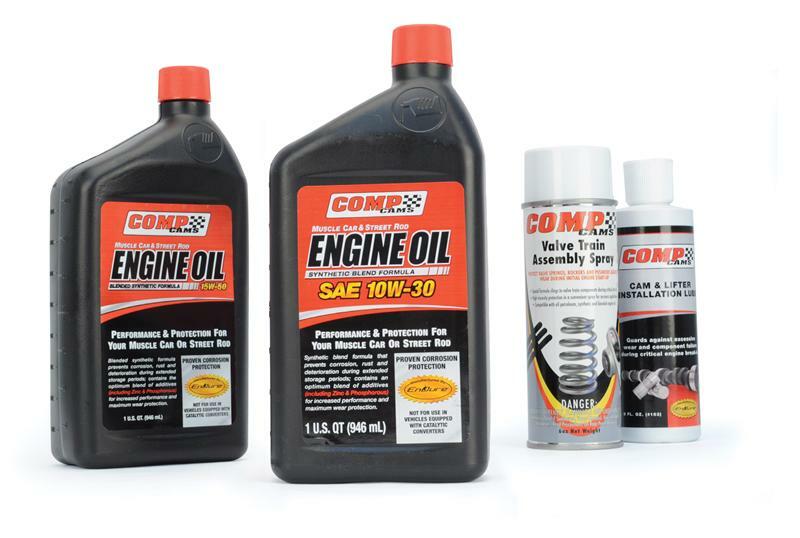 1595-PLT - COMP Cams Lubricants - Engine Oil - Pann Auto Performance - San Diego largest aftermarket automotive performance parts - What do you drive? The COMP Cams Muscle Car & Street Rod Engine Oil is a blended-synthetic oil that delivers the time-tested wear protection of a mineral oil with the advanced performance, extended change intervals and internal cleanliness of a synthetic. Special corrosive protection additives and optimum amounts of ZDDP (Zinc and Phosphorus) provide unmatched anti-wear properties, even during extended periods of storage. 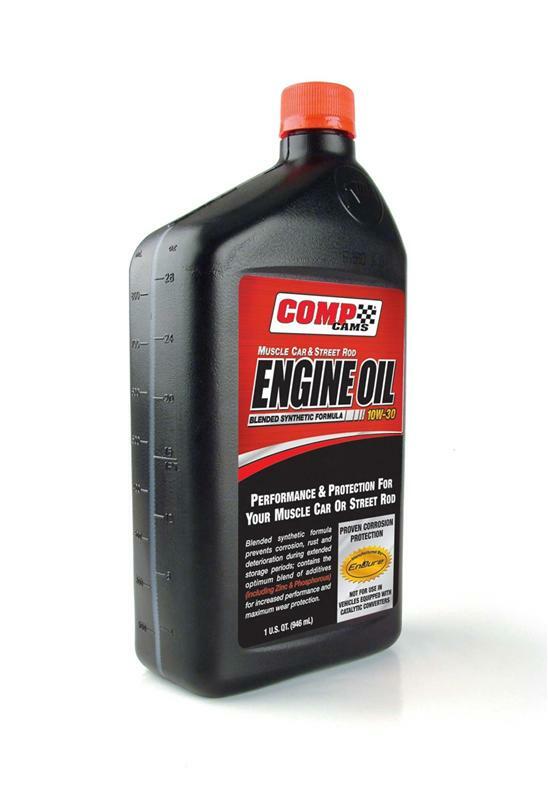 This advanced engine oil is available in both 10W30 and 15W50 formulas and is perfect for late model or classic engines with flat tappet valve trains. After incorporating three decades of internal engine know-how and extensive testing data, we’re certain that there’s nothing better for your muscle car or street rod.